This painless, non-invasive test is endorsed by the American Heart Association and is the only non-invasive method that can accurately identify atherosclerotic plaque buildup to determine your risk of a heart attack. Wake Radiology is proud to have received the highest accreditations possible from the American College of Radiology (ACR). This simple, outpatient screening can help assess your risk for having a heart attack. Coronary heart disease (atherosclerosis) is the nation’s leading killer responsible for more deaths than all types of cancer combined. Nearly 1.5 million Americans will have a heart attack this year and one-third of them will die. More than 80 percent of high-risk patients will have a “normal” result on a standard treadmill test. CT coronary calcium scoring is the single most accurate assessment of heart attack risk. 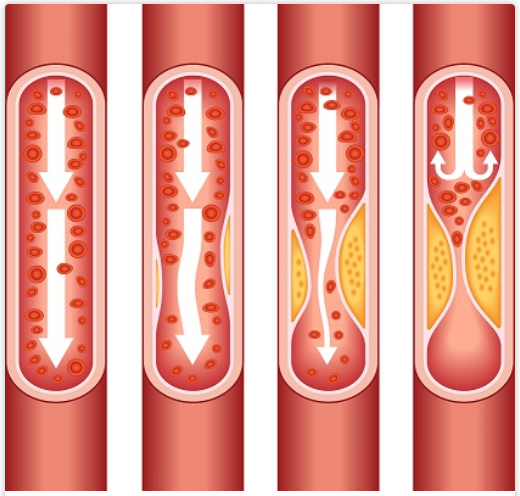 This painless, non-invasive test is endorsed by the American Heart Association and is the only non-invasive method that can directly identify atherosclerotic plaque buildup in the coronary vessels. CT images show all calcified plaques in the coronary arteries. The total amount of disease (plaque) is calculated to determine the calcium score, which accurately predicts a patient’s probability of heart attack over the next few years. Medicare and most insurance companies do not pay for this study. The study costs $350 and Wake Radiology requires a signed physician order. Wake Radiology recommends that patients check with their insurance carrier before scheduling their CT coronary calcium scoring study to confirm coverage and payment. Does calcium scoring predict a patient’s risk of heart attack or death? Yes. Calcium scoring predicts a patient’s risk of heart attack or death over five years with a higher sensitivity than stress testing or any other known risk factors. It is the most accurate test we have for predicting a heart attack. In fact, an individual with a calcium score greater than 75th percentile is 6 times more likely to have a heart attack than a patient with no coronary calcium. The risk of death in an individual with a calcium score greater than 1,000 is more than 12 times higher than that of an individual with a calcium score of less than 10. Does calcium scoring predict the presence of high-grade blockages in coronary arteries? Yes. Asymptomatic patients with a calcium score of less than 100 will only rarely have an abnormal stress test (fewer than 5%). If the calcium score is 0, the probability that an asymptomatic person has a significant blockage is less than 1% (one percent). Conversely, patients with a calcium score of more than 400 can be expected to have a positive stress test in up to 40% of the cases. Q: Who should be considered for this test? A: Calcium scoring has been shown to be useful in patients with low, intermediate, and high risk for heart attack by other risk assessment methods. This screening is accurate in men and women in all age groups. We believe that calcium scoring is particularly useful in patients who are at intermediate risk for coronary disease and who are either being considered for or have begun lipid-lowering drug therapy. Who do I schedule a cardiac calcium scoring screening? Talk with your healthcare provider about the benefits of a cardiac calcium screening and if you should have the exam. Once you have a physician’s referral, contact our Scheduling Team to find an outpatient location near where you live or work.